everydaymatters: The Most Adorable Girl EVER. 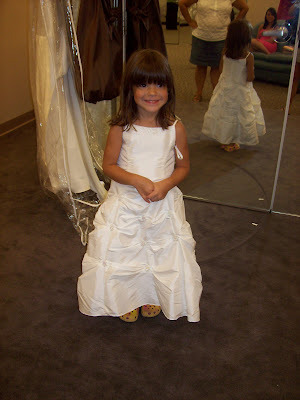 This is Isabella, our beautiful and adorable flower girl. We went and bought her dress today and she looked wonderful in it! I'm so excited for her to be in our wedding! Isn't she beautiful? ?